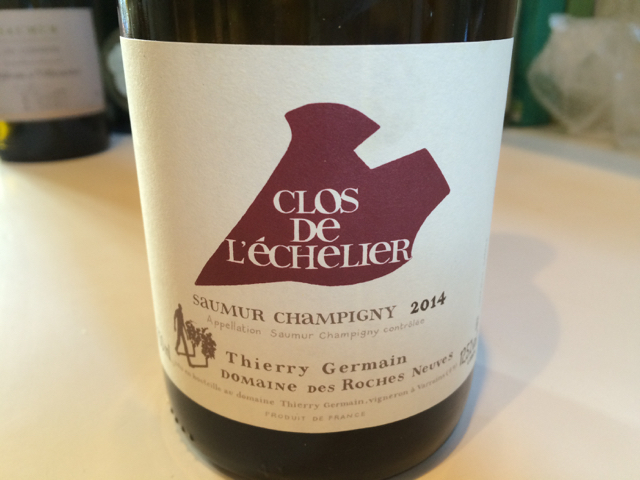 Jim's Loire: Some 2014 Saumur-Champignys – delicious drinking now! Some 2014 Saumur-Champignys – delicious drinking now! 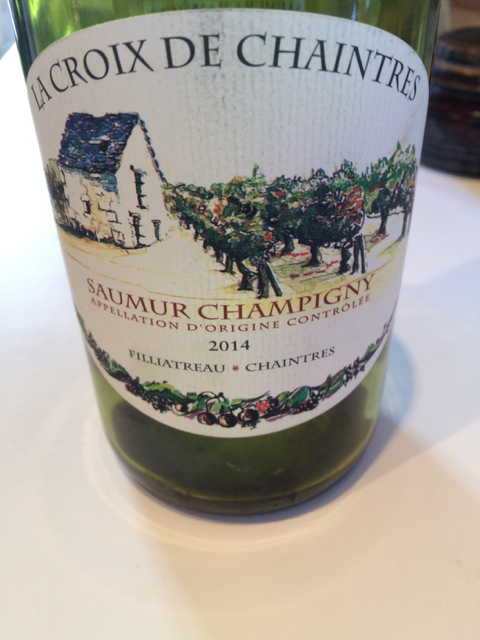 2014 Cabernet Franc based Loire reds are already proving to be very attractive to drink now. They have lovely rich, bright fruit and have lovely balance with a freshness in the finish. Although not as rich as vintages such as 2005 and 2009 they are very seductive. Over the last week we have enjoyed four Saumur-Champignys shown here. Antoine Sanzay's range of 2014 reds are excellent. Above is the straight domaine, which has lovely black fruits and is richly textured. Certainly can be enjoyed now but has the potential to be kept – probably for up to 10 years. La Croix de Chaintres, 2014 Saumur-Champigny, Domaine Filliatreau is a lighter, early-drinking cuvée with attractive red fruits and is sensibly closed with a screwcap. 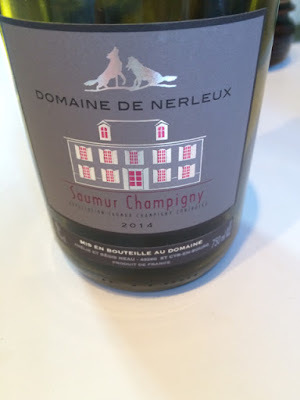 The 2014 Saumur-Champigny, Domaine de Nerleux comes between the Antoine Sanzay and the Filliatreau in terms of weight with attractive texture and black fruits. It is drinking well now but can easily be kept for five or more years. 2014 Clos de l'échelier, Saumur-Champigny, Thierry Germain, Domaine des Roches Neuves. This is a relatively new cuvée from Thierry. It comes from a clos in Dampierre just above the Loire. Thierry acquired it in 2012 when the previous owner, who sent his grapes to the cooperative decided to retire. Nicely textured with some structure, we enjoyed this with roast duck. It certainly has the potential to age and should develop further in bottle.